The Indalo symbol is steeped in history and is said to have magical powers to offer protection from harm, and bring good fortune and prosperity. 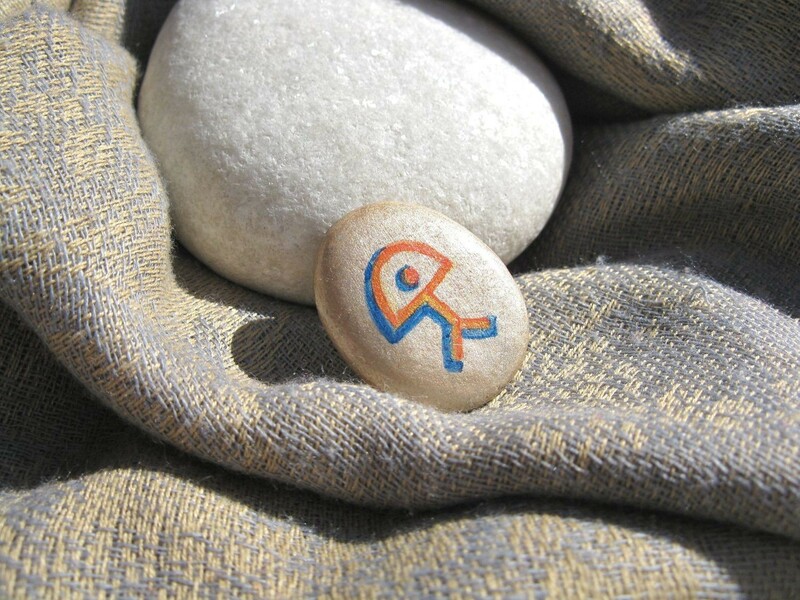 And this Peace charmstone features the symbol of the lucky Indalo hand-painted in coral, blue and gold onto a Spanish pebble, then coated and sealed for durability. Perfect to carry in a bag or pocket, or to display on a desk. Peace is especially suitable for those seeking good fortune and harmony in their life. Send our Peace lucky Indalo charmstone to a friend or loved-one to help fill their life with luck and harmony. Comes gift-wrapped, like all our presents (with an information card about the Indalo) - and we can print a personal message on your behalf.